Marge Hovan is a Senior Property Manager at The King Group Realty. She is an expert in marketing, leasing, property management, and tenant relations. Born and raised in Northeast Ohio, she earned her undergraduate degree from Baldwin Wallace University concentrating in Finance and Economics. 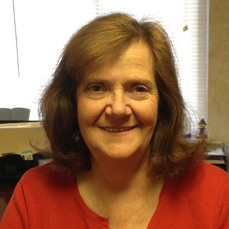 Marge started her Property Management career more than 15 years ago with Pinnacle Management. Working in key positions with various companies she has managed individual properties as a Property Manager, a portfolio of properties as a Regional Manager and a Marketing and Leasing Director for both existing properties and new construction. When not working; Marge enjoys golfing, the theatre, traveling and spending time with family and friends.